Homemade falafels are a pure delight! They're utterly delicious with salad, pita bread and hummus or just on their own to munch on as a savoury snack throughout the day. They're incredibly satisfying, wonderfully filling and packed of nutrients. 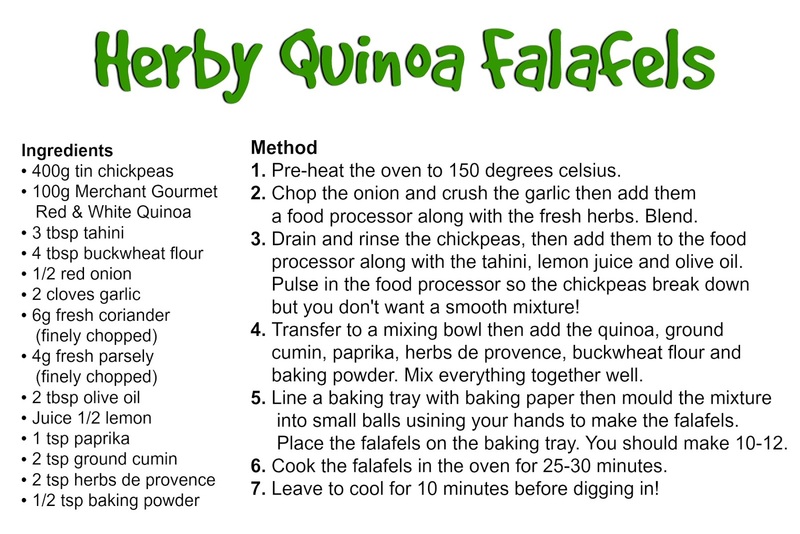 This recipe for herby quinoa falafels puts a twist on the classic falafel recipe by adding red & white quinoa mix (from Merchant Gourmet), which not only adds an unbeatable texture and taste but also lots more protein, ups the fibre and gives you even more of a nutrient boost to keep your body and mind feeling happy and healthy. As I said, I love falafels but this recipe takes them to a whole new level! Adding quinoa is genius (if I do say so myself) as it adds so much substance to the little chickpea balls of goodness, makes them even more filling and really helps to keep any cravings at bay. 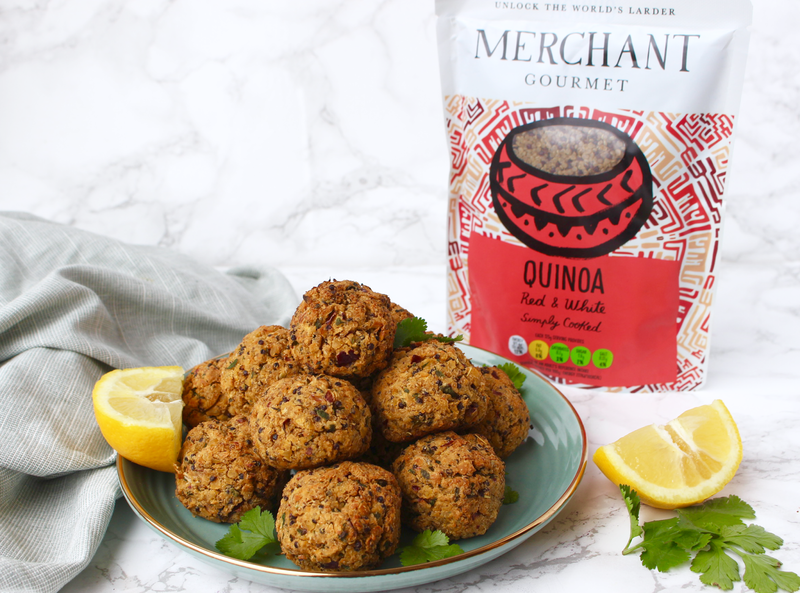 Using the Merchant Gourmet pre-cooked quinoa makes this process super quick, easy and cheap but you're still getting all the essential nutrients and no nasties! 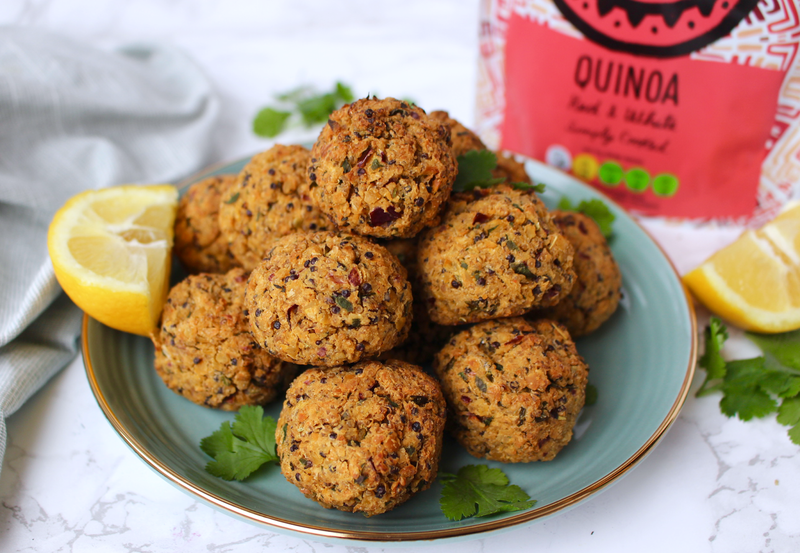 These falafels will keep for around 5 days in the fridge, so are the perfect recipe to whip up on a Sunday evening and keep in the fridge to use throughout the week for quick, healthy, yummy lunches! You can add them to salads, use them in wraps, pop them into pita pockets and why not add them to stir-fried vegetables and rice for hearty meal?